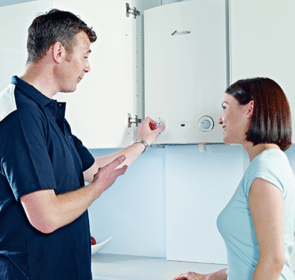 Choosing a boiler for your home is a big decision that involves a lot of things to consider. The price, your house, current heating setup, and boiler type are some of the factors that influence this decision. It can be confusing and difficult to find all the necessary information, which is why we have compiled this guide about boilers for easy reading. Boilers: What are the costs? There is a wide range of boilers, each with its own characteristics and features. As such, the price will vary considerably, greatly affecting your choice. Plus, your choice will depend on your requirements: what you are looking for and if you are looking to switch to a new type of boiler. The following table illustrates the average prices of boilers based on type. 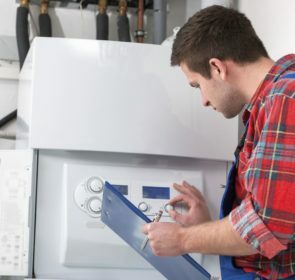 Installing or replacing a boiler is usually not a DIY job but rather requires the expertise of professionals. Such a technical job inevitably comes with a hefty price tag. For this reason, we recommend doing extensive research on all of the various options available; look at different models, alternative types, and even suppliers and installers. By comparing prices via our non-binding quote request, you will find the best boiler and service professional for you. Complete the form and you will obtain up to 6 quotes, potentially saving up to 40%! There are 3 types to choose from. Each one has their own distinct characteristics and features. Since there are differences, each boiler type will also carry certain advantages and disadvantages, depending on your current and desired heating situation. Conventional boilers (also known as regular or heat-only) are the most traditional kind of boiler. 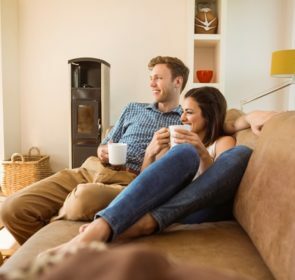 Usually found in older homes, conventional boilers require more space as it uses both hot water cylinders and cold water tanks located in the loft. Cold water is supplied by your mains, and moves to the boiler to be directly heated. The hot water is stored in the hot water cylinder for later use—once a kitchen or bathroom tap is turned on, hot water is drawn from this tank. Conventional boilers are become less and less common as combi boilers have grown in popularity because they do not require large storage tanks, resulting in a smaller piping network and boiler size. System boilers are similar to conventional ones in that they require a hot water cylinder and the boiler generates heat directly. However, the boiler has the main heating and hot water components integrated into it, making installation easier. Compared to conventional boilers, there is no need for a feed and expansion cistern as well. System boilers don’t use cold water tanks as they heat water directly from the mains. As such, system boilers take up less space than conventional types. This kind of boiler is best suited for households with a high demand of hot water or low mains pressure. Combination types, usually shortened to combi boilers, are the most popular type used in UK households. Combi boilers provide hot water and heat without water storage tanks, and runs on gas or electricity. Water runs through the boiler and is heated, after which it is pumped throughout your home to radiators and to bathroom and kitchen water outlets. Combi boilers heat water on demand and so hot water storage tanks are not needed; water output is diminished, however, if multiple taps are being used at once. This kind of boiler has become a popular choice because of its advantages: the compact size and energy savings, to name a few. One of the most important things to consider is which type of boiler is suited to your current house. For example, you might not have a loft or only have limited space, which means a conventional boiler will not be possible. In this case, you should opt for either a system or combi boiler. If your house is older, it might have a traditional central heating system and as such, only a conventional boiler is available. Older heating systems are not compatible with a combi boiler so if you want to make the switch, you will have to go for a full upgrade of your whole piping network and radiator system. 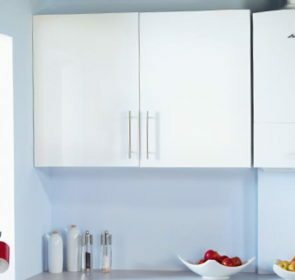 Whether you are looking to replace your old boiler or to switch to a new type, you will need to contact central heating companies to find a good deal. With so many options, this can be an overwhelming task. Complete our form below and you can conveniently compare up to 5 installers. Easily and quickly identify the best offer in terms of value and save up to 40%. By comparing companies, you will enjoy the hot water and air knowing that the price and boiler matches your needs!